I love the beekeeping in Supernatural but I don't always love the bee box. And so, wanting something that could fit in almost any world seamlessly, this came about. 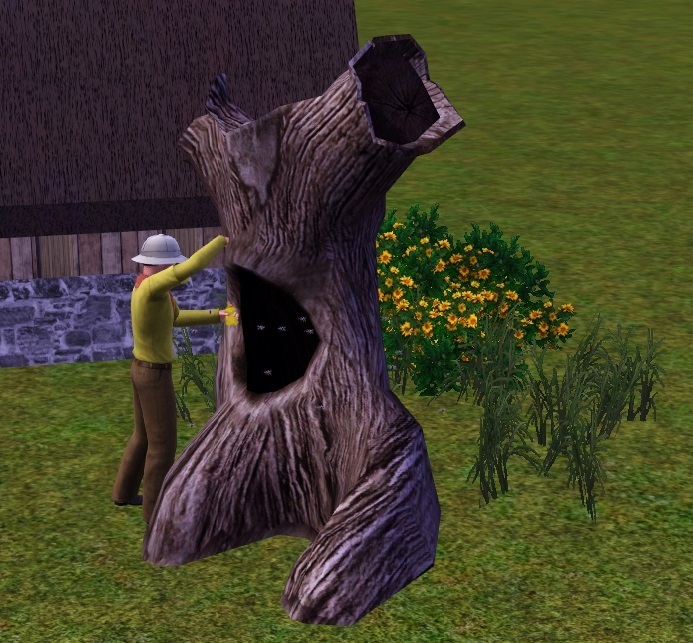 I took the hollow tree from Supernatural and made it function like the beehive. 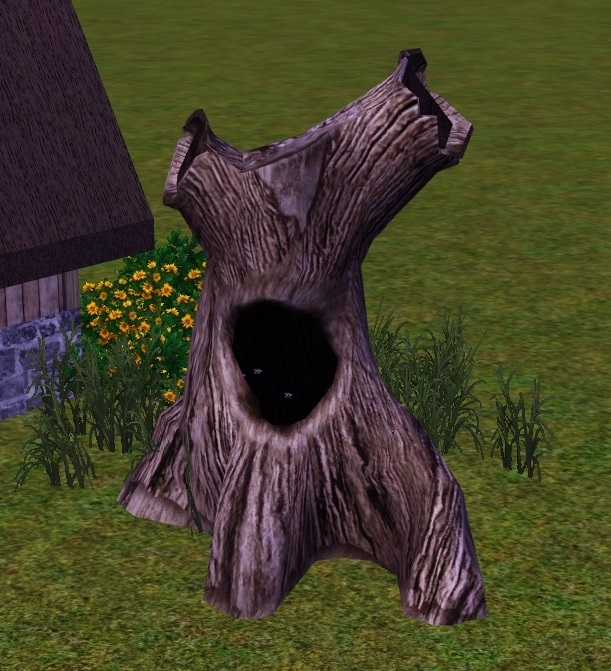 It does not overwrite the original tree, it is a new object. You can find it under Hobbies right next to the original box and it costs the same, $275. It has two recolor options, the first is non CASTable as it is the original overlay, the second has one channel. Hide it in the woods! Stick one in the cemetery! 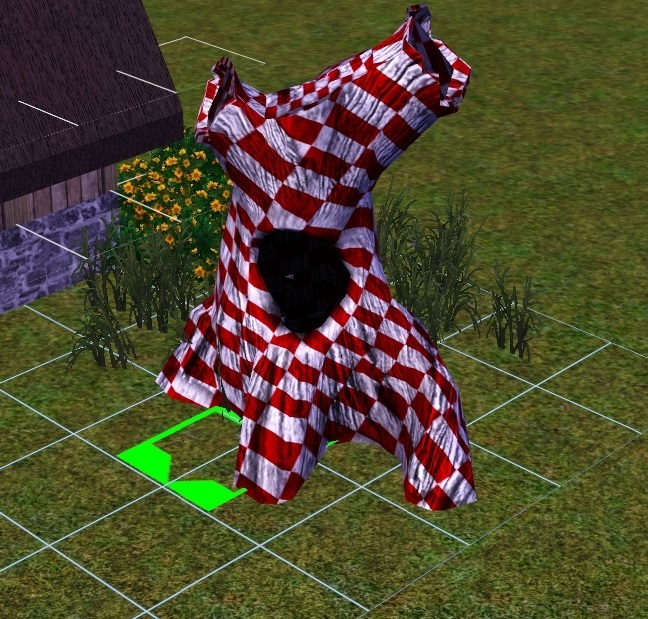 Give it to your castaway sims! If there's trees, now there might be bees. There is some stretching with patterns but fixing the UV map would wreck the overlay so there's not much I can do about it. Solid or wood patterns work well though. The sim still pretends to open the box and you hear the lid creak. Again, not much I can do about this. There is some minor clipping when they harvest honey or otherwise reach into the hole. 424 people have said thanks to Nylaba for this download.